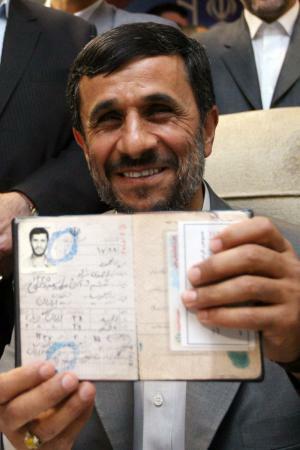 Incumbent Ahmedinejad has claimed 65% of the 80% ballots counted in the Iranian Presidential Election 2009. The pattern in the votes are not expected to change, leaving Ahmedinejad as the most likely next president. A nominee needs at least 50% of the votes in the first rounds in order to win, otherwise it’s round two. Mousavi isn’t backing down yet though. He’s sent pre-emptive claims that the elections have been rigged, and that if Ahmedinejad wins the election that there will be massive riots. One political analyst stresses that if Ahmedinejad wins there could be another “Tiananmen Square-style experience”. It was estimated that as many as 4 millions votes could be rigged this year. Some polling stations in Northwest and South Iran supposedly “ran out” of ballots, and therefore stopped casting votes as opposed to getting more ballots and providing them for the voters, which is their right. There are other speculations that Mousavi supporters were refused entry into polling stations as well. Mousavi’s vote is around 32%. He’ll need a miracle to win this one. 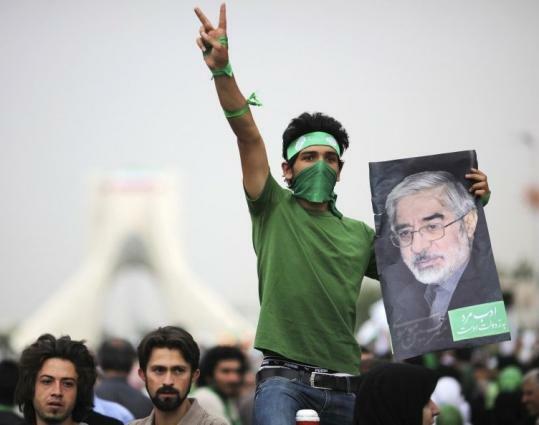 Mohsen Rezaie, the other conservative nominee has believed to have stolen many votes from Ahmedinejad, while Mehdi Karoubi, a reformist, has done the same to Mousavi. Rezaie and Karoubi were approved by Khamenei to run in the presidential election, and both had met with Khamenei to insure that the election will not be rigged. If Ketami had continued running the reformist vote would have been split even further. Regarless that Ketami dropped out, openly stating that he was doing so to allow reformists not to have to choose between his self and Mousavi, Karoubi continued to run. The official announcement of Iran’s next President will be declared tomorrow. If, or when Ahmedinejad is declared the winner he’ll be welcomed by Very Green Students–A majority of which, whom supported Mousavi.